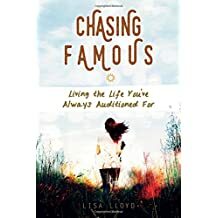 Each fast moving chapter includes: A Profile introducing the background of the Biblical woman featured, a section labeled “Ponder,” a commentary on and scripture lessons from the life of the featured character , and “Press In,” made up of thought provoking challenges and self-searching questions designed for personal application. Jenny’s writing style is a masterpiece of poetic prose, imaginative fiction, all woven into an interpretation of Biblical truth. Her work is skillfully organized, with deep spiritual insight, while using all the elements of a good story. Jenny serves on pastoral staff of “Rock Family Worship Center” in Huntsville, Alabama. “Becoming His” is ideal for personal reflection and application as well as for use in a small group setting. Although written specifically for a woman’s audience, this is a book that is filled with lessons for men as well. Husbands will better understand their wives, build beautiful partnerships, and become better leaders in the home. Pastors and lay counselors can gain insights from Jenny’s message of restoration and hope in the midst of tragedy. “Becoming His” provides a modern perspective on eternal truths. Highly recommended.